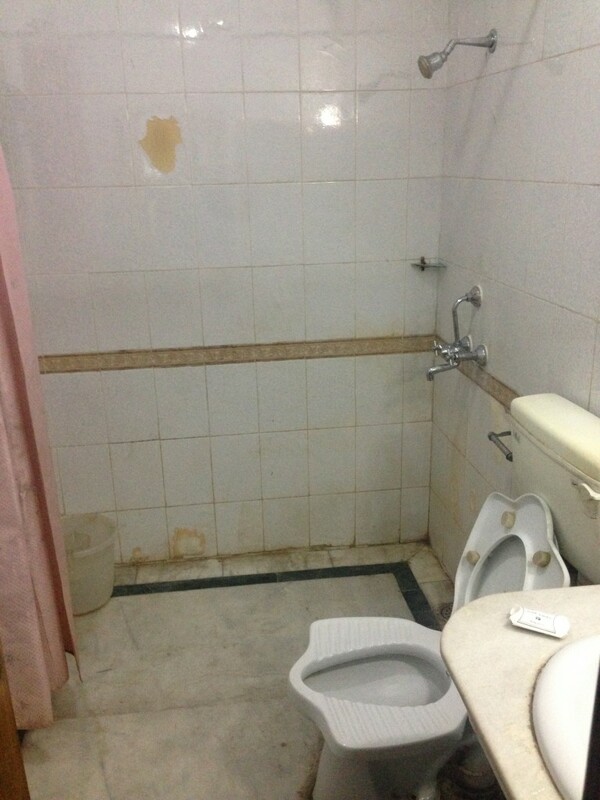 What kind of bathroom to expect in India? Most hotels and guesthouses will have English toilet. Most of low cost accommodation will not provide toilet paper with it. Low budget accommodation will provide a shower installed above the toilet, it’s called wet floor bathroom. You might get a hand soap and you might not. Even clean sheets are not really clean – Indians wash the laundry in cold water, sometimes also in rivers (Varanasi is a good example of river washing) so some stains will stay on the bedding. Wet floor bathroom – your bathroom might look like on the picture- shower is attached to the wall which makes the floor wet with water and soap. TheSink might also leave its things on the floor. It happened to me that I washed the teeth and felt some fluid dropping on my feet- just to realize that the sink has a big hole and no discharge pipe. 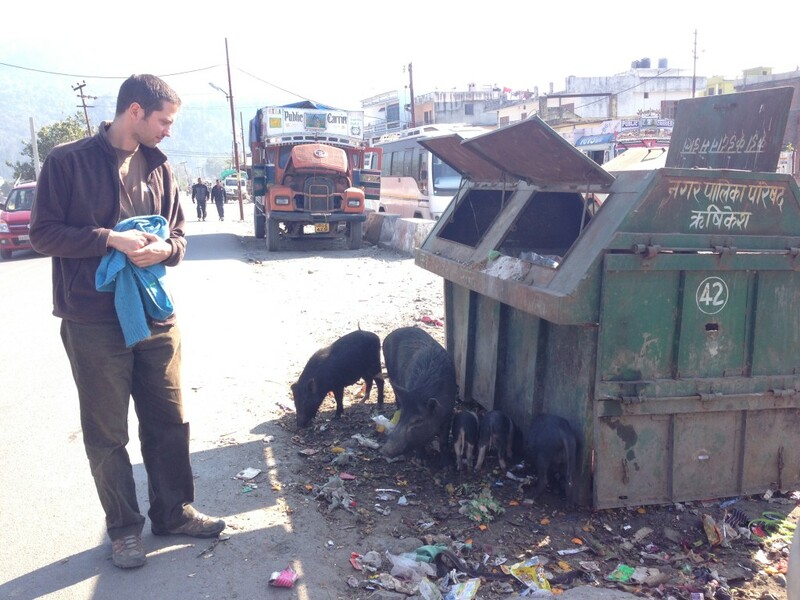 Cows shitting everywhere – religious places like Haridwar, Varanasi, Rishikesh- they are filled with cows which leaves a big amount of cow dung. No toilet paper – the only expansive thing in India is toilet paper because locals don’t use it, they use left hand for dirty work. 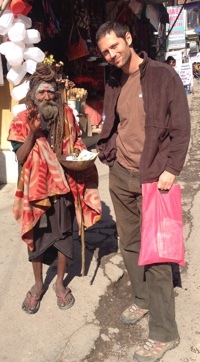 You can bring your own toilet paper, buy it or do like the locals do. This is not hygienic shock but for me it’s still a shock – Hindus believe that if they make noise gods will hear them. In traffic – car blinkers are rarely used. Instead, indians preffer to use honks. Traffic roads are full of honking noise.